Do you want to make a difference in the lives of others through a challenging career that pays well and grows with you? If so a degree in Communication Disorders is the way to go! Professionals in communication disorders work with infants, children, and adults. We encourage collaboration among students, faculty, professionals, and our clients. Because we work with vulnerable people in a variety of settings, we have high expectations for our students and faculty. We have a proven track record in helping our students become skilled, innovative, and well-rounded professionals. 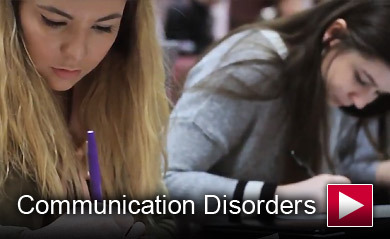 Our communication disorder department, known as one of the best in the nation with a 100% placement rate, needs help funding a medical speech-language lab. The lab will provide students hands-on experience treating clients with voice, swallowing, feeding, and cognitive communication deficits through the use of technology, mannequins, and equipment. Save the date: April 10th-MSU Giving Day! Make your gift to any area of campus and receive a 50% match. Visit give.MinotStateU.edu to learn more. The MSU Speech-Language Pathology Graduate program is ranked by SpeechPathologyGraduatePrograms.org as one of the top SLP Masters Programs in the nation scoring 97.5 out of 100 by ranked criteria.